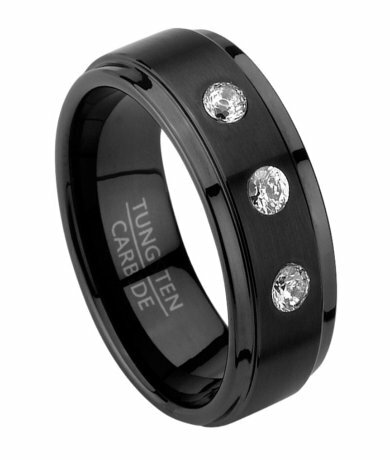 Offering an eye-catching combination of bold masculinity and rich detailing, this 8mm comfort fit men's black tungsten wedding band is an excellent choice for the modern individual. Made from black plated tungsten, three sparkling white cubic zirconia stones are set in a satin finish center band and framed by polished step down edges. 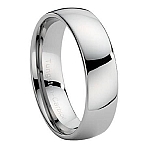 Perfect as a contemporary wedding band or engagement ring for men. Comfort-fit rings should be ordered 1/2 size smaller! I purchased this ring and had a problem with it and called MWR and they immediately sent me a replacement free of charge. 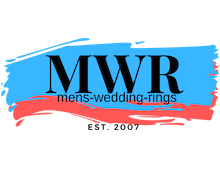 I love this ring and would recommend anyone buy there rings from MWR.com.